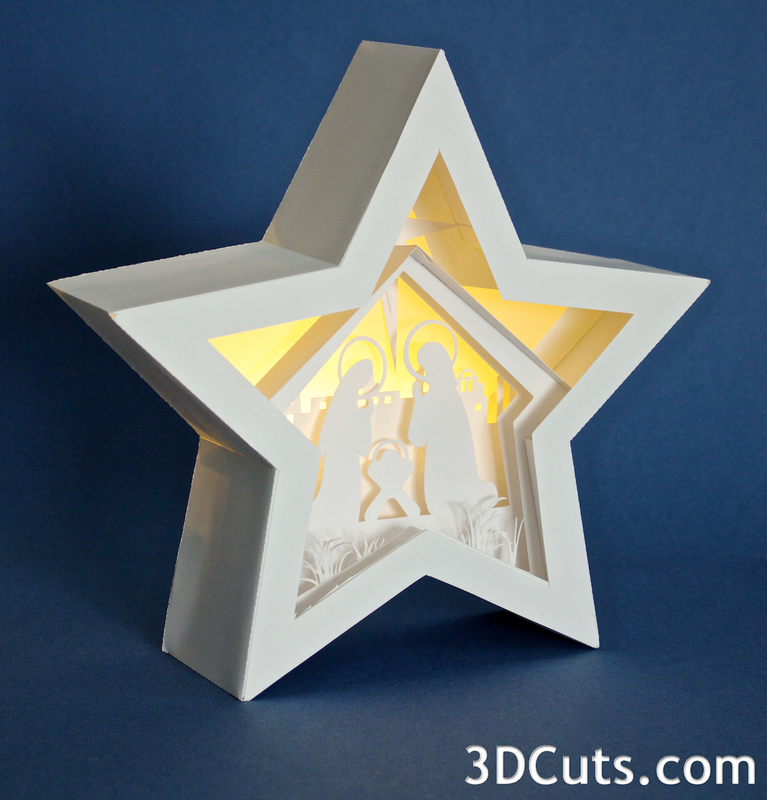 The shadow box has been a recurring building block for so many of my paper designs. I started with my birch shadow box when I first got my Silhouette and just kept going with so many different ones over the years. But all of them have been in Square frames. Finally I have broken out of that shape! I have just completed the new Star Nativity Shadow Box for the 2016 Christmas season. 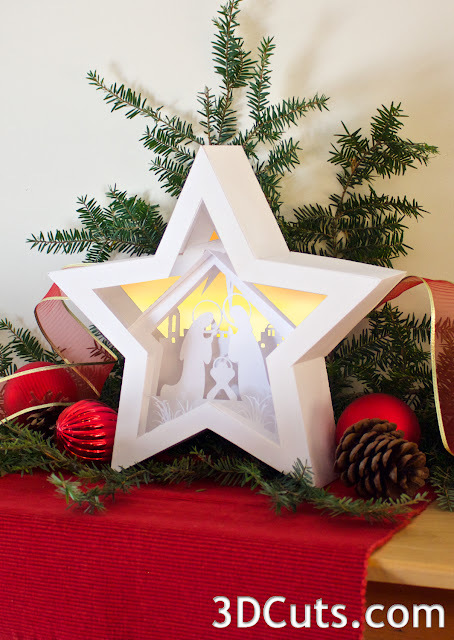 This frame is constructed from card stock just like the layers inside. It stands about 11" tall and is 4" deep. I love the possibilities here. It worked well for the classic nativity but I am also picturing deer in the forest. We'll see what January brings. The shadow box has a back door that opens and two LED tea lights can be inserted. The glow they provide is nice although I wish I could find LED's that didn't flicker! Here is my first bit a decorating for the holidays. I had to set this up for photographing. It is the side table in my dining area. I have made the cutting files available for purchase. They are at my sister site 3dcuts.com. The download includes them in svg, dxf, pdf, and png formats. 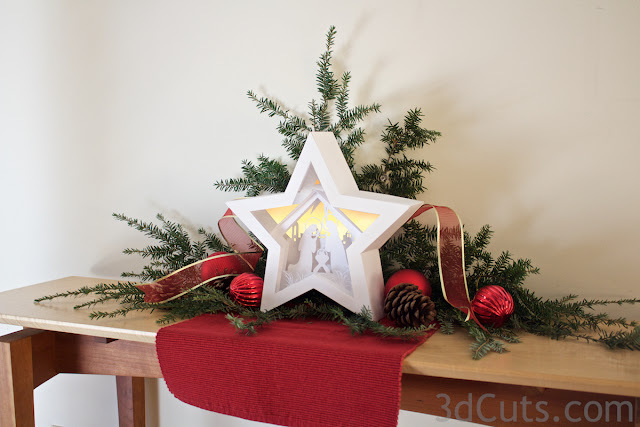 It will work on Silhouette and Cricut cutters but this design has mostly large cuts so it could be made by hand for those of you with out cutting machines. A good exacto blade is required!